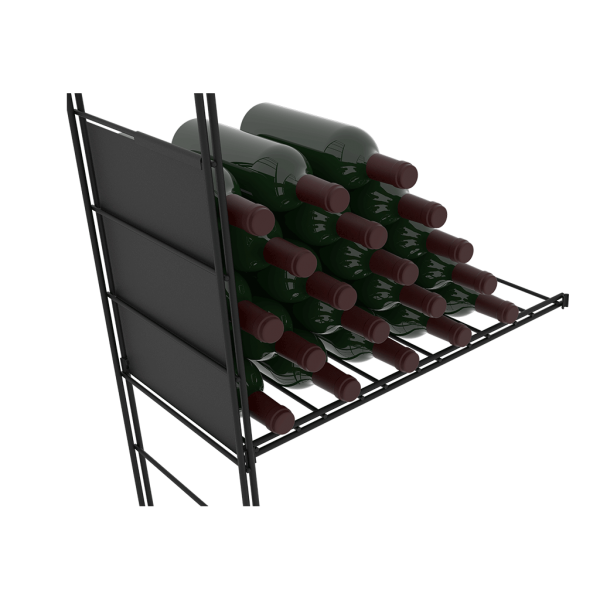 These vertical steel partitions make it possible to hold (and so keep a stock of) bottles on several layers in complete safety. 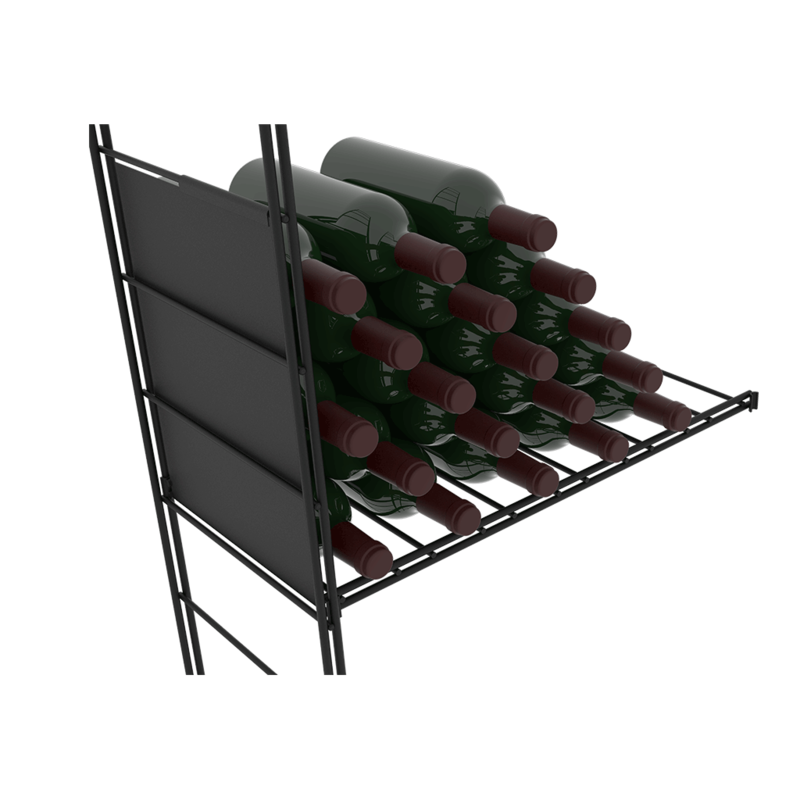 The longer the bottle body – the Bordeaux type bottle – the better the stability. Creating « compartments » : combining metal plates with these vertical steel partitions enables « compartments » to be created, where you can put books, objects, a spirits bar. Fit only the classic shelves configuration. Powder-coated steel. W 27 cm x H 36 cm.